25 Things to do in Nantucket so you can start planning your getaway! Whaling Museum – tour this fully restored candle factory that was in working order until the 1860’s when whaling was outlawed. Jetties Beach – this Nantucket beach is located on the north shore and is perfect for the children with tennis courts, a playground and a skateboard park. Sankaty Head Light – this beautiful light house that was built in 1850 was brought up to the times with automation in 1965 but still is a sight to see in Nantucket. Nantucket Atheneum – the original library was destroyed by fire in 1846 but rebuilt in the same location and is a sight to see for anyone who loves architecture. The Old Mill – this smock mill is the only one in Nantucket where you can take a historical tour of the mill and surrounding buildings. Loines Observatory – enjoy the night sky while the astronomers help you view the sky in ways you’ve never experienced before at this Nantucket location. Coskata-Coatue Wildlife Refuge – see rare birds and hundreds of osprey that reside in this refuge that also offers activities for all ages. Cisco Brewers – enjoy this vineyard, brewery and distillery all in one location as you enjoy learning about the creation process of every brew. Surfside Beach – located on the southern shore of Nantucket you’ll find this beach location that offers watersports and a lengthy beach area. Shipwreck & Lifesaving Museum – a location that preserves the memory of those who died risking their lives to save the mariners who were caught in storms at sea. Jethro Coffin House – also referred to as “Old House” this home is the oldest standing residence in Nantucket that dates back to 1686. Long Pond Trail – enjoy a 1.25 mile hike on this nature trail that offers scenic views and much landscape to take in. Bike Tours- experience the safe for all age’s bike tours in Nantucket, they offer pre-made tours or you can create your custom bike tour. Steamship Authority – two ferry options to enjoy a little scenic cruise on the ocean with family, great way to take in the views of Nantucket or to arrive there from Cape Cod. Secret Spot Nantucket – local waterman will take you on an adventure with stand-up paddle boarding, surfcasting and even fly fishing experiences. Theatre Workshop of Nantucket – enjoy a life theater performance at this public theater that’s been active since 1956 in Nantucket. Monomoy Charters – specializing in chartering large groups, the captain of this ship is a long time, 5th generation Nantucket native who enjoys educating others about ocean life. Ara’s Tours – enjoy a beautiful tour around Nantucket with Ara’s Tours who is known for their professional, friendly and prompt tour options. Shearwater Excursions – enjoy a whale watching trip, seal cruises, sunset cruise, whale history tour and much more while in Nantucket. Greater Light – enjoy the art housed at this residence that was once owned by two Quaker sisters from Philadelphia. ACK Sunset Sail – take a private sunset sail while on the waters of Nantucket Sound, a romantic way to end an evening with your partner. Old Gaol – if you enjoy seeing historical sites that were once a jail, this location will surely be a must see in Nantucket where they offer guided tours during certain hours. Altar Rock – enjoy the views with a cocktail to end your evening in Nantucket where you can see planes coming in for landing while relaxing at this location. Nantucket Founders Burial Ground – you’ll have to be up for an adventure visiting this area as the markers aren’t easy to find and the road is slightly hidden. Fire Hose Cart House – a very cool location with not much to do other than view the two old fire carts located at this Nantucket location. There you have it, 25 things to do in Nantucket. Each of these ideas will surely offer up something for the entire family to enjoy. There is so much history to be enjoyed in Nantucket, I sure hope you’ll think about planning a summer trip to Nantucket soon. I have never been to Nuntucket before and it sure looks absolutely beautiful! I am in love with the view. If we get to go I would love to explore the private sail and tours. We always go for tours on a bus when we travel – quick way to learn a few stuff. I gotta share this to hubby. We have never really had the opportunity to go east and visit places like Nantucket. On my to do list and would love to visit and see everything there is to offer in the area. Thanks for another great travel resource. I love visiting New England, and I try to pick a new spot every time we go. I’m bookmarking this. I had no idea there was this many things to do in Nantucket. I have never been up that way at all and I really want to go. Reading a post like this makes me all the more ready to explore that area. I’ve never been to Nantucket before. Thanks for this great travel resource. We might have to add this to our summer bucket list. These al seem like a great way to spend lazy summer days. I would opt for the biking tour to get to see the town and get some exercise. I sooooo want to go there. I love reading historical fiction that is in Nantucket. I have read about the whaling industry. I cannot imagine how that impacted the residents when it was outlawed. I’ve always wanted to go here. The East Coast is so gorgeous. We’d want to check out all the historical things. My husband would want to eat all the fresh seafood. This looks like it’s just up my alley. I would love to visit here. Thanks for the tips. I’ve always wanted to visit Nantucket! Sounds like a place my whole family would enjoy. Nantucket is totally on my bucket list! It looks so cute and those lighthouses are perfection! My family would love to visit, too! My mom was actually born on Nantucket Island. She has always wanted to go back to explore. That’s a great list of things to do. I keep forgetting that this is a place. I hope to visit it someday. The Long Pond Trail seems like a hike that my family would definitely be up for! That’s something I would definitely do. Sounds really exciting! I’ve never been to any of that you mentioned. I think it’s a fun place to visit for families this summer. Imagine all the things that you can do there! WOW! I have never been to Nantucket before but it sounds like lots to do. I would like to go to the Shipwreck museum, sounds interesting! I’ve never been to Nantucket but it’s on my list! I love coastal towns and lighthouses! So much to do! These sound like some pretty cool things to do in Nantucket. I’d love to go stand up paddleboarding with secret spot Nantucket. That’s such an amazing historical place to vacation at. Dream vacation. I would definitely enjoy myself checking the Sankaty Head Light, The Old Mill and the Secret Spot Nantucket. Great outdoor activities wherein I can also discover bits and pieces about the place! I hope to go one day – it is a beautiful place. So many fun things to do – especially in the summer. Nantucket has been on my bucket list for years but we haven’t been able to make it there yet. This is a good list of things to do. I am so bummed that my family no longer has a home in Nantucket. Right before I was born they sold it so I never got the perks. Wow, that twenty five things to do is definitely a good way to escape and relax. Never been here yet so I guess, I can consider this one too for a vacation. I’ve been thinking of making a trip to Nantucket. I would definitely love to check out the long pond trail. It sounds beautiful! Oh my goodness, Nantucket is WAY up there on my travel bucket list! I can’t wait to make it up there!! Wow! Lots of fun things to do in Nantucket! Bookmarking this! I didn’t even know that there’s a place called Nantucket. All I now is that I love nantucket fish! It looks beautiful though. I got to see the Greater Light in person last year and loved it! Can’t wait to go back and see some of these other attractions. Wow sounds like there is no shortage of things to do in Nantucket. I want to come visit and do all the fun things with you all over the place. You guys do so many wicked things! I have never been to the east coast, and am dying to go. Nantucket sound beautiful! Nantucket is my kind of place, it’s laid back but has activities when you feel like exploring! Love the list that shared with us! I can’t wait to go back there. As soon as I saw the name “Nantucket” i knew it was in the New England area lol. These all look like really fun activities. Thanks for sharing. This is such a great list! I’d love to visit Nantucket this summer with my kiddies! I’ve only been there once. Also from MA! You nailed this list! All of our favorites are here! 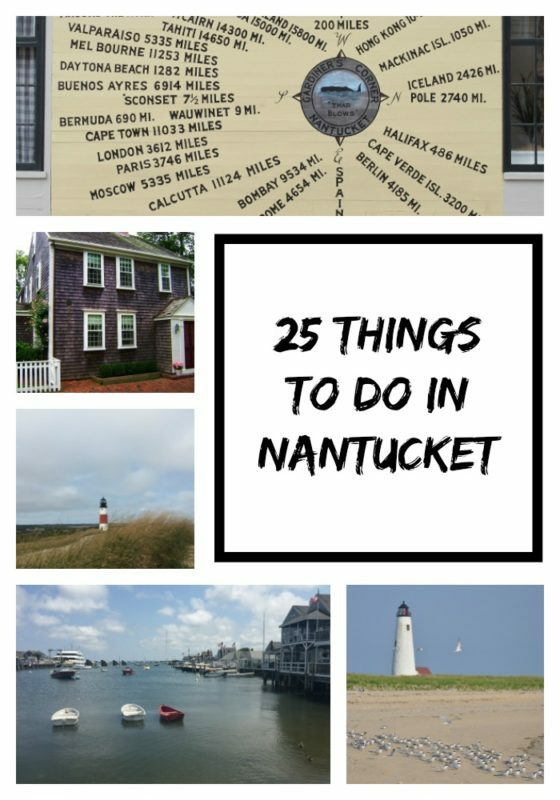 So many great things you can do there in Nantucket! I should love tho see them all! Sounds like a fun place to go! I think I’d start with Ara’s Tours, just so I know where things are sort of at. Then I’d dive into the other stuff.